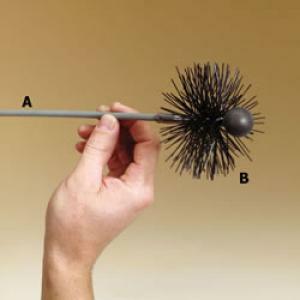 Pellet Stove Brush & Rod System features slender rods (.250") come in 5' lengths with 1/8" fittings. They're made of PVC and maneuver through offsets up to 90 degrees. They can also be used for dryer vent duct cleaning. Rod and brush are sold separately.